With the right information and experiences, people will take the actions necessary to create a future in which we all can thrive. We support decisionmakers by providing accessible tools and analysis. 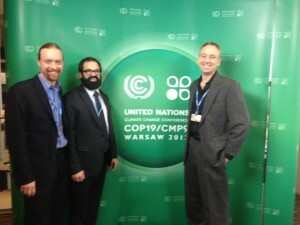 Climate Interactive’s Travis Franck (left) and Drew Jones (right) with David Riedmiller from the U.S. State Department. Former US Secretary of State John Kerry used our C-ROADS climate policy simulator to advocate for climate action. C-ROADS has also been used by the US State Department, the IPCC, NOAA, Brazilian lawmakers, the Dalai Lama, the Chinese government, and the European Environment Agency to analyze climate commitments. We are modeling food security and climate-smart agriculture for African leaders. We have partnered with multiple US cities to help them design and implement strategies that reduce greenhouse gas emissions while also improving public health, disaster resilience, and the local economy. From international coalitions of NGOs to small leadership development programs, Climate Interactive has provided countless nonprofits with the tools to empower their work on major challenges like climate change and the sustainability of our energy system. 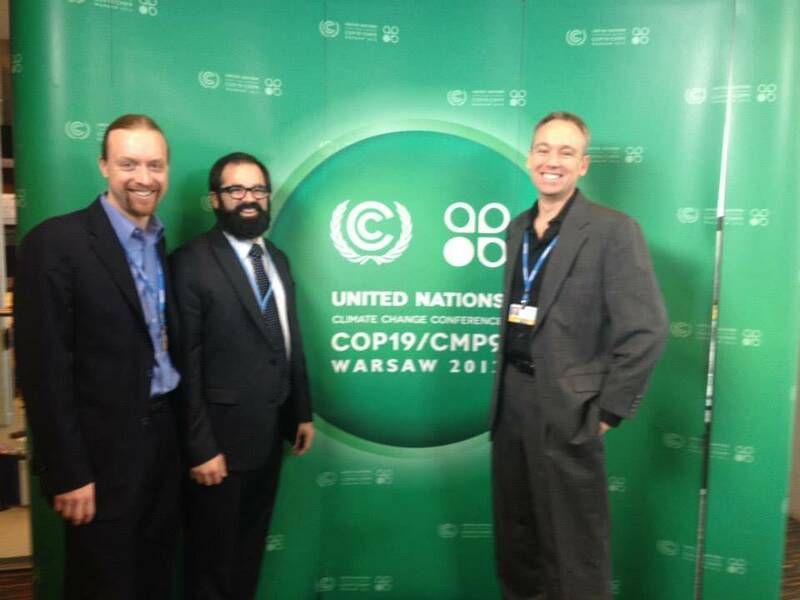 We supported the Climate Action Network with detailed analysis as part of the UNFCCC climate negotiation process. 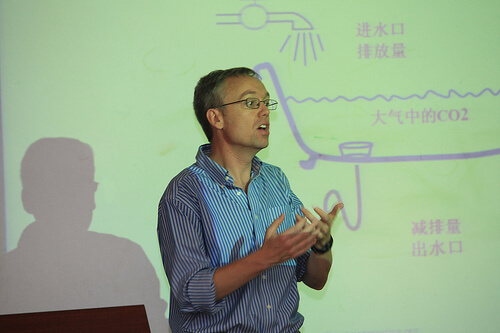 We taught systems thinking to Ashoka Changemakers and the Dalai Lama Fellows. We simulated energy policy using En-ROADS with the Center for Climate and Energy Solutions (C2ES). We modeled disaster risk and resilience of pastoralists in Kenya for the Internal Displacement Monitoring Centre. 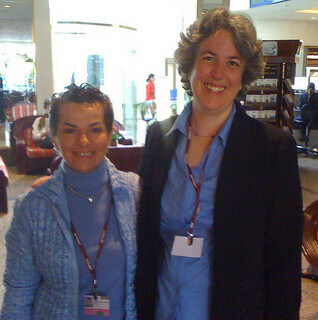 350.org used our climate pledge analysis to influence delegates at the UN climate negotiations. Helping businesses balance long-term and short-term interests is a perpetual need in today’s fast-paced economies. Climate Interactive helps provide the tools and analysis to bring clarity to these challenges. Co-Director Beth Sawin gave the keynote at a Volvo and World Wildlife Fund hosted gathering of leaders of corporate sustainability and emissions reductions. Schlumberger Business Consulting’s science education program, SEED, created an animated simulation using our climate policy simulator C-ROADS. Per Andersson of Ericsson in Sweden used the Schlumberger animated simulation in dozens of presentations in his company. 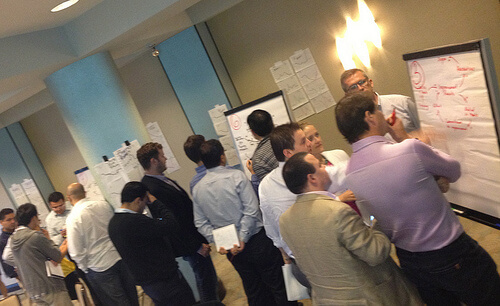 Peter Senge and the team at the Society for Organizational Learning (SoL) ran an adapted version of the World Climate Exercise for a training of corporate sustainability leaders. Our World Climate and World Energy role-play simulation games have been played by tens of thousands of people all over the world, ranging from students to CEOs to politicians and more. We developed the Climate Leader, a free MOOC to teach people about systems dynamics and climate change. MIT’s Center for Collective Intelligence created the Climate Collaboratorium, a service that allow users create, explore, and vote on climate solutions. Details are given for each climate plan, including human actions, predicted impacts, and user debates about the plan’s advantages and disadvantages. This forum will help engage citizens, policy makers, and scientists to develop better plans and policies addressing climate change. We have a firm belief that everyone will need to be a part of building the thriving future that we are working for, and so we design tools that are useful to a wide range of audiences. Our work has been featured in thousands of media articles including the New York Times, the Washington Post, NPR, and dozens more local and international outlets. Millions have used our Climate Scoreboard (UN climate pledge analysis) to understand the long term implications of climate action. 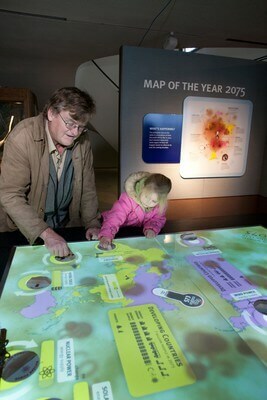 A consortium of science museum exhibit designers convened by TacTable and Brown University launched a climate change exhibit that allows users to touch a screen, change global emissions, and see the effect on global climate change. National Geographic included the climate bathtub in a two-page graphic spread in their magazine.